If your holiday plans include going “over the river and through the woods” up north in potentially poor winter weather, below are some tips to remember to keep your travel all fun and no frustration when driving in snow and ice. 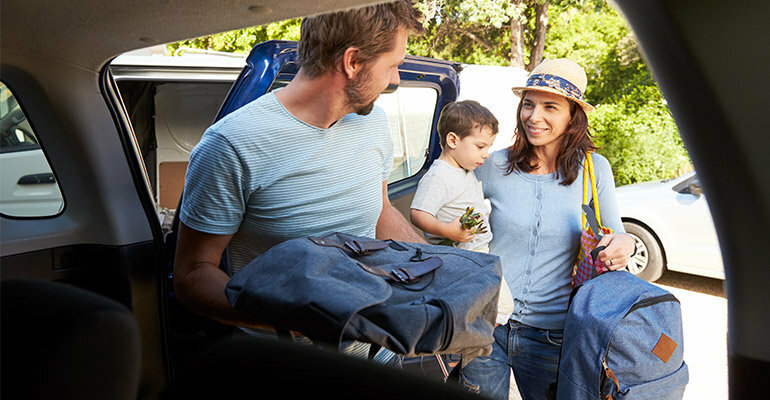 Before you leave, ensure that your car is in tip-top shape by having Bartow Ford’s friendly technicians check it out, especially focusing on tires and brakes. Watch weather reports prior to a long-distance drive or before driving in isolated areas. If necessary, delay trips when especially bad weather is expected. Make sure you pack adequate cold-weather supplies: Cellphones, chargers, blankets, gloves, hats, food, water and any needed medication in your vehicle. Accelerate and decelerate slowly, which is the best method for maintaining/regaining traction and avoiding skids. Remember to take time to slow down for a stoplight. It simply takes longer to slow down on icy roads. Drive slowly. Everything takes longer on snow-covered roads. Accelerating, stopping, and turning – nothing happens as quickly as on dry pavement. Give yourself time to maneuver. Know your brakes. If you have anti-lock brakes (ABS) and need to slow down quickly, press hard on the pedal. Don’t power up hills. Applying extra gas on snow-covered roads will make your wheels spin. Try to get a little inertia going before you reach the hill and let that inertia carry you to the top. As you reach the top of the hill, reduce your speed and proceed downhill as slowly as possible. Use your seat belt. Always. If you become snow-bound, stay with your vehicle. It will shelter you and makes it easier for rescuers to locate you. Avoid walking in a severe storm, because it’s easy to lose sight of your vehicle in blowing snow and become lost. Tie a brightly colored cloth to the antenna or place a cloth at the top of a rolled up window to signal distress. At night, keep the dome light on if possible. It only uses a small amount of power, and will make it easier for rescuers to find you. Make sure the exhaust pipe isn’t clogged with snow, ice or mud. A blocked exhaust could cause deadly carbon monoxide gas to leak into the passenger compartment.